If you are looking the best cheap hosting online then you should also consider their services and features, what you will get in that particular cheap hosting plan. Because sometimes when we got the cheapest web hosting at that time we forget to compare their services and they reduce features in the hosting plan. 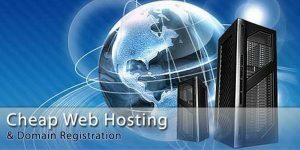 You should find the best and cheapest web hosting provider which will provide you services at the cheapest cost without compromising features/ services. As per my personal knowledge/ experience, RedServerHost is an India’s No.1 best and cheapest hosting services provider at the lowest prize with full-time technically. 30-Days Money Back Buy our Linux hosting and trust us, with our money back policy you can be confident with our service. Malware Protection Linux Hosting server malware scanner is the best when it is a question of tracking a malware. Fast Servers Believe our quality, if there is no fault in your code, your site will definitely open in seconds. 1-Click Installs Just a few clicks and you can easily install WordPress, Joomla, Drupal, whmcs, etc in your Linux hosting. 24*7 Support With your Linux hosting you get quality support for all your server related issues, answered fastest. SSD/HDD Options to choose among the type of disk you need with your choice of Linux hosting. We have both SSD and HDD for you. They provide Linux hosting plans starting from Rs. 345 INR/ Years, with unlimited services like Unlimited web space, unlimited email accounts, unlimited subdomains, unlimited domain parking, unlimited FTP accounts, unlimited database storage, free SSL, Free website builder with 24*7 hours/ days technical support. This is a place where you make true your technical dream within your budget.